A British cyber-security researcher credited with stopping the spread of the WannaCry virus faces four more charges related to separate malware he is alleged to have created. 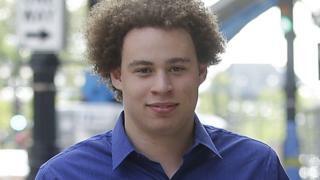 Marcus Hutchins, who denies the charges, has asked his Twitter followers to help with his legal fees. Mr Hutchins was arrested at Las Vegas airport in August last year after he left the Black Hat conference. He was accused of creating a piece of malware known as Kronos. Kronos was designed to steal banking credentials. According to a new court filing, Mr Hutchins is now also accused of creating a second piece of malware, known as UPAS Kit. He is also accused of distributing it with the help of another person. According to the court document, the malware was created in 2012 to be installed silently and not alert anti-virus software. It is alleged to have collected personal information. Mr Hutchins's lawyer, Brian Klein, described the new indictment as "meritless". The cyber-security researcher is originally from Ilfracombe, Devon, and works for LA-based company Kryptos Logic. He shot to fame after helping to stall the WannaCry ransomware cyber-attack that struck the NHS and other organisations in May 2017. The cyber-attack targeted 150 countries and locked down computers, demanding a $300 (£223) fee to restore files. Mr Hutchins was granted bail on 5 August after $30,000 (£23,000) was raised by friends and family.